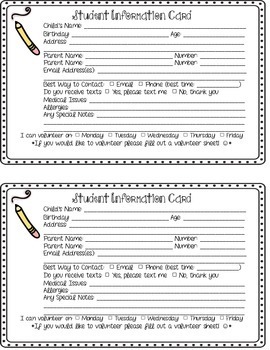 These cards are perfect for an easy way to find student information. They give a spot for parents to put special comments and medical issues. I handed these out at open house and since they were so easy to fill out, the parents filled them out right there! I hope you enjoy them as much as I do! They come in really handy at times! =] Enjoy!